Home / Theme Options / Theme Settings – Listing Labels. Property Status. Property status background color. Theme Settings – Listing Labels. Property Status. Property status background color. 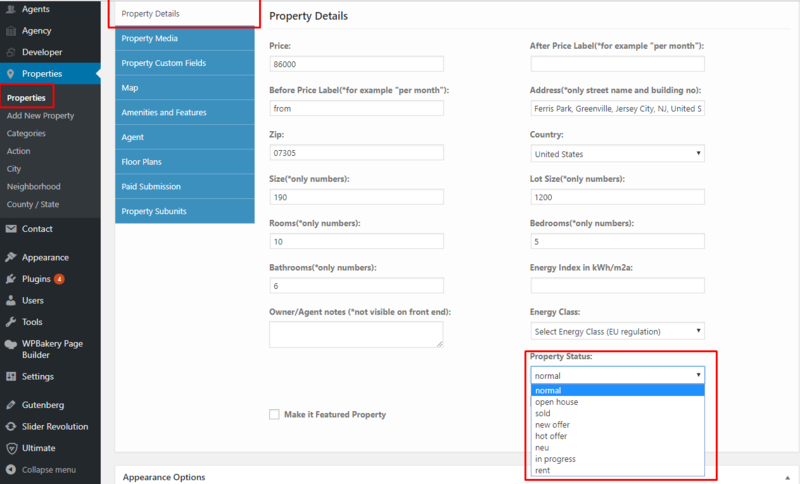 When you add a new property status, you may require to add custom css for it, so that you can arrange text and choose background color. Custom CSS panel is in Theme Options – Design. IMPORTANT: if you type the status with caps letters, the css must include the new names with the same caps letters. 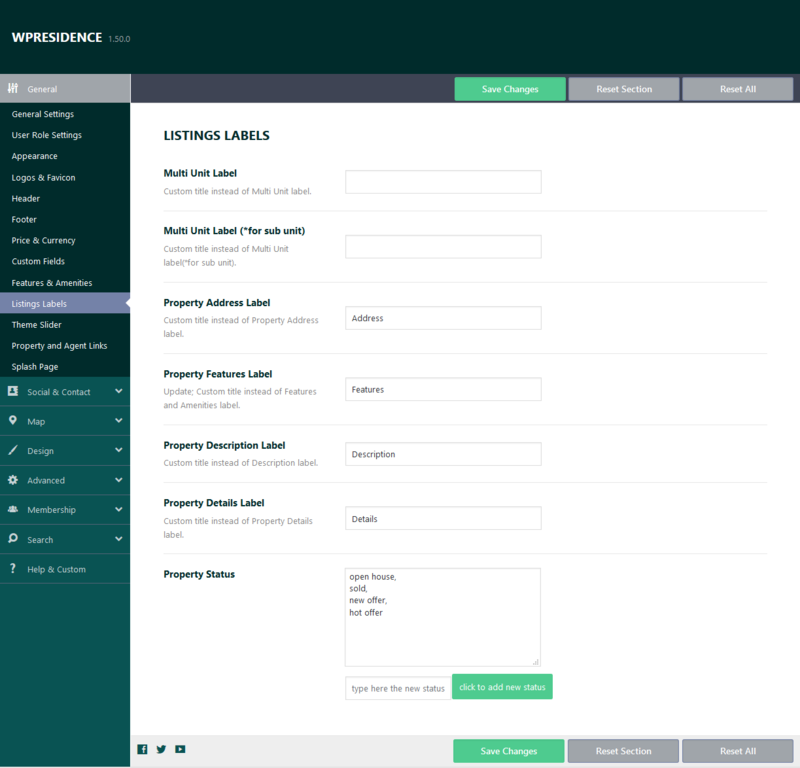 Labels show on property unit – featured image.